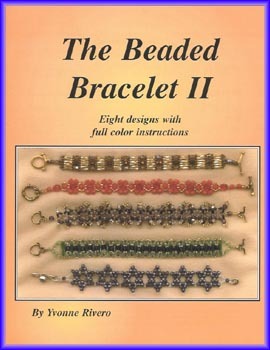 The second Beaded Bracelet Book. Make these beautiful beaded bracelets. The book includes eight designs. This soft cover book has 32 pages of full color, easy to follow, step by step instructions, diagrams, and photos of the final designs.